Alamo Square, endlessly photogenic with its downtown views foregrounded by pastel Victorians, has been closed since May 10 of last year for $4.3 $5.3 million in renovations — although by popular demand, a viewing area has remained open during the closure. A reopening was last predicted for "late winter," but the project's completion has been repeatedly delayed by persistent rains that doused sod and tested its new irrigation and drainage system — antiquated infrastructure was a primary reason for the upgrade. "The existing irrigation system which was more than 30 years-old and the quick coupler line was more than 70-years-old, were corroded and fraught with leaks," SF Rec and Park spokesperson Joey Kahn tells SFist. According to Hoodline, who drew attention to the new opening date, there's been $1.2 million in additional construction in 2017. 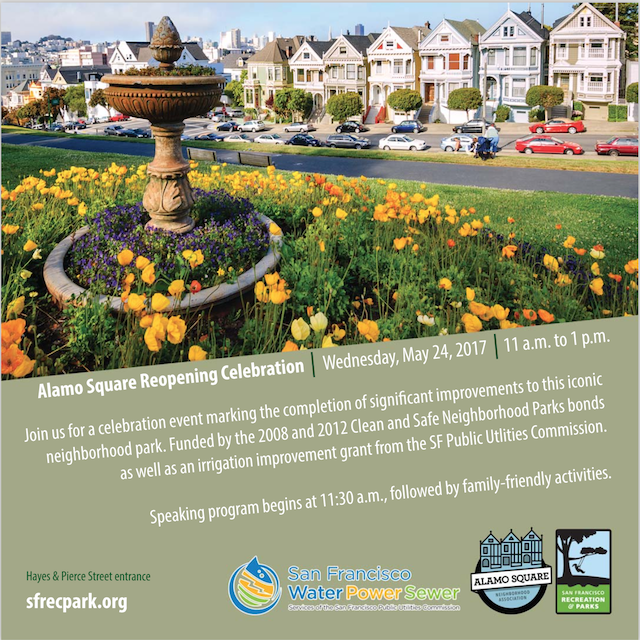 The bulk of funding for the project comes form 2008 and 2012 voter-approved bonds, and more funding was provided by a conservation grant from the SFPUC — the new irrigation system is expected to save water by 33 percent — and $130,000 in funds for new trees was crowdfunded by the Alamo Square Neighborhood Association. Clearly concerned by the frequently-trashed Dolores Park, the neighborhood association has launched a pledge campaign for Alamo Square neighbors and park goers to pick up after themselves and take care of the park. 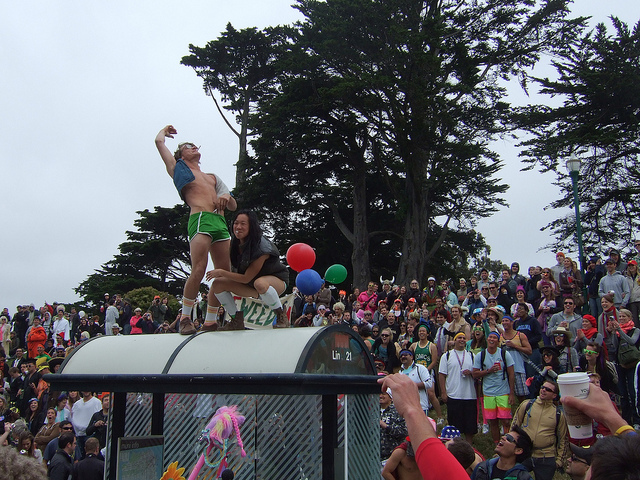 That's nice — but the decision to hold off on opening the space until after Bay to Breakers will probably have a more measurable effect.